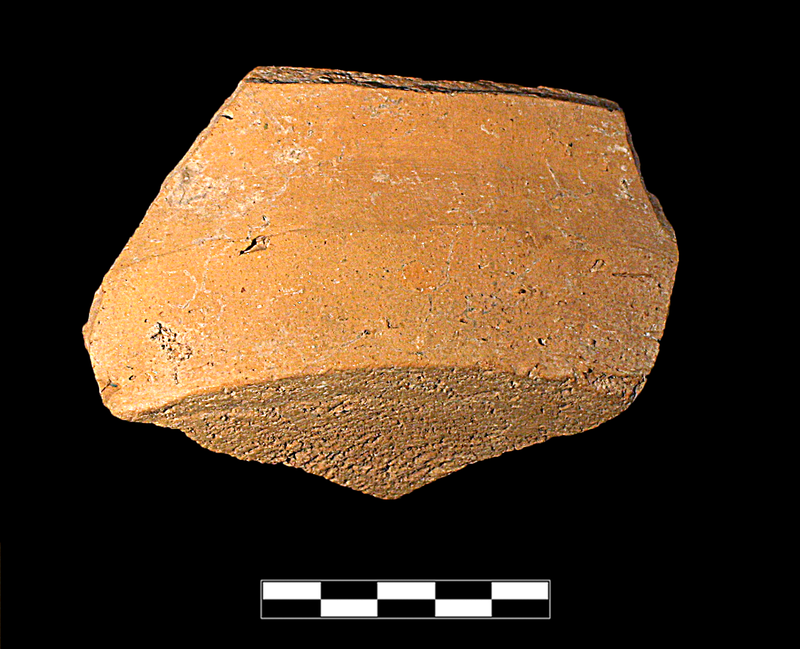 Single sherd preserving less than 1/6 of base; sharp transition to wall. Granular fabric is inconsistently fired from reddish-brown to light brown with occasional small light angular inclusions; occasional medium to large light and dark angular inclusions. All extant surfaces are pale light brown with frequent mica. Turning marks on interior and exterior. Small surface voids, two larger on exterior. Very near standard SA fabric.